Zildjians multi-tool drumkey features drum key bit attached to a 4mm hex wrench, a 3mm hex wrench and a phillips head screw driver. 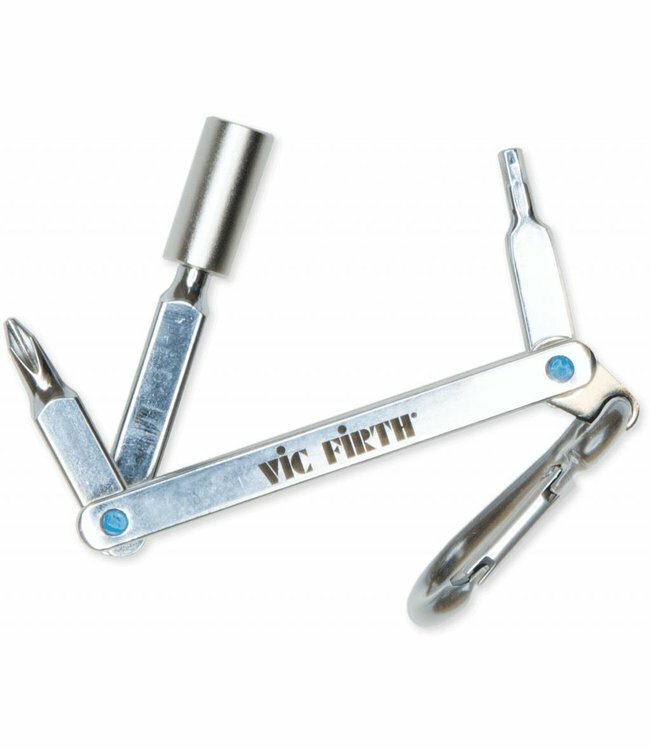 The drum key bit is removaable to use the 4mm hex wrench. The assembly and tools are made steel for durablitity and the frame has a black finish with gold Zildjian logo.